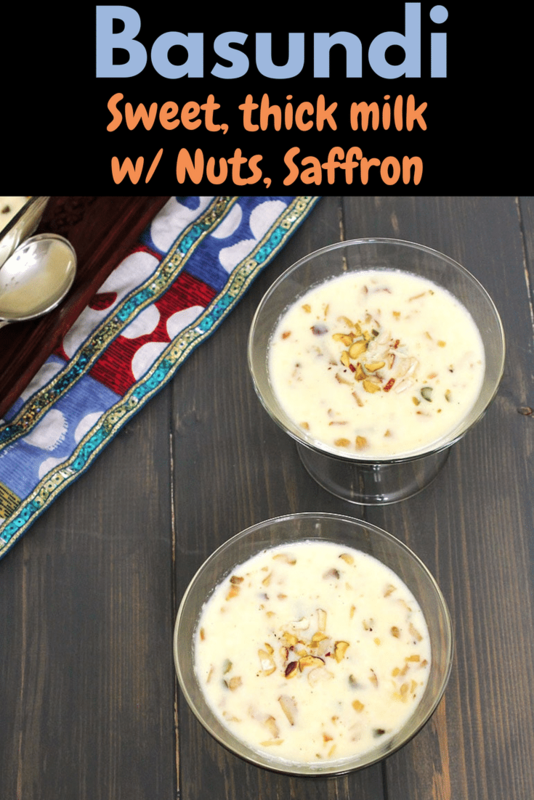 Basundi recipe – Sweetened and thickened milk with chopped nuts, flavored with cardamom and saffron. Today I have shared the traditional basundi recipe. It is easy to make but little time consuming. While there are many other instant or quick recipes which calls for khoya or evaporated milk or condensed milk. But for now, I will go for the authentic recipe. For making basundi, milk is slowly reduced to its half quantity and then sugar, nuts and flavoring ingredients are added. So the procedure takes some time. But all the time and effort you put in is worth. The end result is sweet, creamy dessert. 1) Take the milk in a heavy bottom pan. Turn the heat on medium-high. It is advisable to use wide mouth pan like I am using here. If using sauce pan, there are chances that milk will get over flow. 2) Bring it to a boil. As it starts boiling, reduce the heat to medium-low. Keep stirring and keep cooking the milk till it gets its half quantity. Do stir every five minutes. 3) Also scrap the sides and bottom of the pan. 4) While simmering the milk, you will see thin film of the top. While stirring, mix it with the milk. It gives grainy texture in the basundi. Now the milk is its half quantity, it took me 35 minutes. 6) Also add cardamom powder and freshly grate the nutmeg. Mix well. 8) Also add chopped almonds, cashews and pistachios. 9) Mix well and let it simmer for 5 minutes. 10) Saffron will infuse its color, basundi will be thick, yet runny consistency. Turn off the stove. It is ready to serve if you like it warm. Or bring it to room temperature and then chill in the fridge. As it cools, it will get little more thick. Many prefers chilled over warm. Serving suggestion: Traditionally it is served with puri. If serving with puri then it is recommended to serve warm basundi and poori. You can have it as such as a dessert after meal. If so then I suggest serving chilled. I have seen many likes a bowl of it along with their meal. It is very important to stir the milk while it is simmering. It will prevent the milk from sticking to the pan and from burning. Always simmer the milk on medium-low heat to get the best texture. While milk is boiling, do not walk away. Stay right there. Otherwise milk may get overflow and run out of the pan. 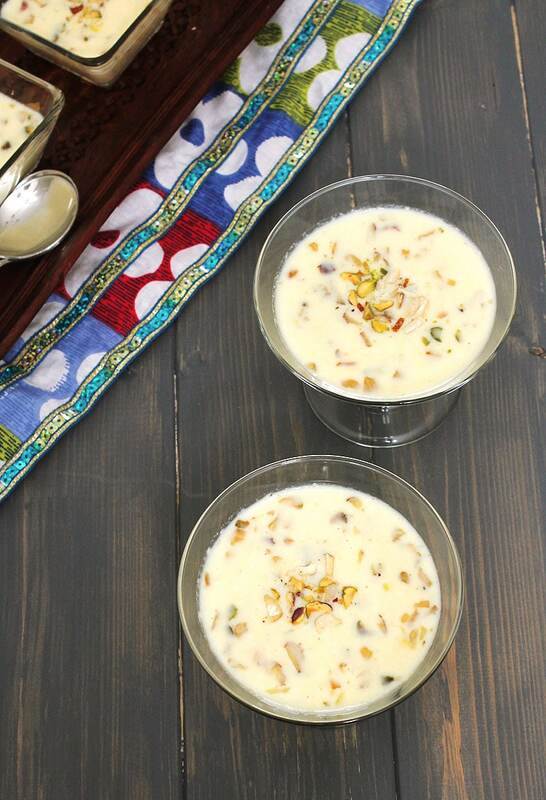 If you are serving the chilled basundi, then reduce the simmering time by 5 minutes. Because it will get thicken as it cools. You can adjust the sugar quantity. I and hubby prefers our dessert just sweet meaning not too sweet. So ¼ cup of sugar for 1 litre of milk is enough for us. If you like more sweet then you can increase the sugar quantity. Here I have used full fat whole milk. 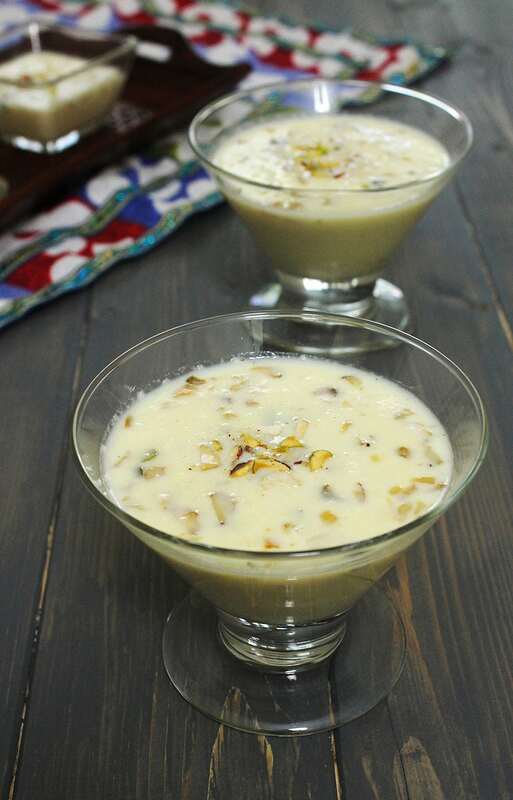 It makes rich and creamy basundi. If you are using 1% or 2% or low fat milk, It will not be that creamy. this is traditional method of making basundi recipe. Take the milk in a heavy bottom pan. Turn the heat on medium-high. Bring it to a boil. As it starts boiling, reduce the heat to medium. Keep stirring and keep cooking the milk till it gets its half quantity. Do stir every five minutes. Also scrap the sides and bottom of the pan. While simmering the milk, you will see thin film of the top. While stirring, mix it with the milk. It gives grainy texture in the basundi. to get half quantity, it took me 35 minutes. Now mix in sugar, cardamom powder and freshly grate the nutmeg, bring it to a simmer. Add saffron and chopped almonds, cashews and pistachios. It should be thick, yet runny consistency. Turn off the stove. sure, it is already in my list. 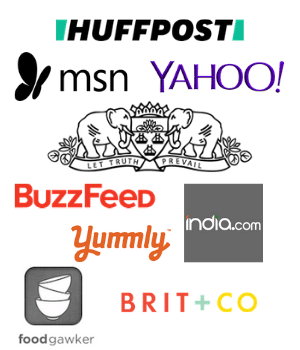 The way you present is extremely good among all sites I saw. Thank you somuch. Now I can prepare very well. I appreciate your perfection in presentation.